Hey dolls! When I saw the theme for this week’s Twinsie Tuesday, I knew I wouldn’t have any new polishes to post that you hadn’t seen already. I haven’t splurged on a polish in such a long time. One reason is that I’ve been spending my luxury budget on clothing lately as opposed to polish. The second reason is that I’m fortunate enough to review so many polishes, I have to really love a polish to purchase it. My biggest splurge on polish would have to be Dior. I don’t own many of them, but the few I have, I love. 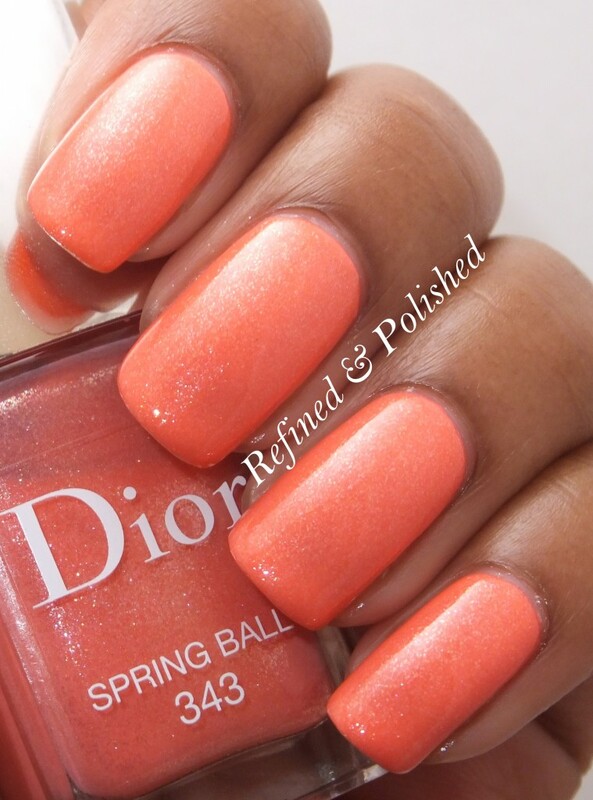 You can check out the review of my first and my favorite, Dior Spring Ball here. There are a few shades from Illamasqua and Picture Polish that I’ve been admiring, so my next splurge will probably come from one of those brands. Be sure to check out the splurges from the other Twinsies down below. Maybe they’ve been spending a little more on polish than I have recently.